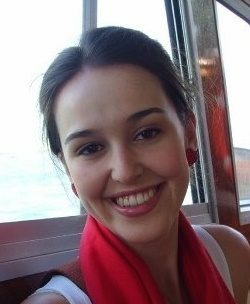 There is a growing interest among teachers and educationalists in cognitive psychology and psychological theories of learning, partly precipitated by ever growing discussion by high profile bloggers like David Didau, Daisy Christodoulou and Kris Boulton. While learning about the brain and considering how we think, learn or remember is certainly a worthwhile pursuit and may have the potential to improve teaching practice, caution is needed. We actually know very little about how the brain works. Although cognitive psychology and neuroscience are rapidly advancing fields the flipside of this is that new research can quickly throw everything we thought we knew in to question. A quick google will reveal dozens of blogs and online courses for teachers about cognitive psychology and these models and theories frame much of our thinking about how students learn. Blogs such as ‘The Learning Spy’ by David Didau, ‘Science and Education’ by Daniel Willingham and Kris Boulton’s ‘…to the real’ often link psychological principles to education and books such as Dennis Child’s ‘Psychology and the Teacher’ and ‘What Every Teacher Needs to Know about Psychology’, also by Didau and Nick Rose, are popular reads. However, it is important to differentiate between theories and facts and to avoid conflating hypothetical models with proven neuroscience since accepted facts can quickly become ‘neuro-myths’ when new research contradicts popular theories. Cutting edge research, released this month, illustrates this danger in relation to the accepted models of memory. The standard consolidation model of memory suggests that memories are formed solely in the hippocampus (considered ‘short term memory’). Over time they then become linked to the prefrontal cortex where, it is suggested, ‘long term memory’ resides. As a result, future retrieval of the memory does not require the use of the hippocampus. This theory was based in part on a single patient, Henry Molaison, in the 1950s. Molaison was unable to make new memories following a brain surgery in which much of his hippocampi were removed (with the original aim of controlling his epilepsy). He was however, able to retrieve memories from before the surgery, indicating that the retrieval of established long term memories relies on a different brain area than the formation of new memories. A second popular model, developed in the 1990s, as a critique of the standard consolidation theory, is the multiple trace model. This model is similar in that memories are thought to be formed in the hippocampus initially. Following multiple retrievals of a memory ‘multiple traces’ to cortical regions, including the prefrontal cortex, are created and the memory is ‘transferred to long term memory’. However, the multiple trace model suggested that episodic memories: memories of experiences and events, remain dependent on the hippocampus. Until now, neither of these models had been tested since there was no way to do so. However, this hasn’t stopped educationalists from drawing conclusions on implications for learning. The multiple trace model in particular is used to explain the need for pupils to retrieve information repeatedly in order to remember it in the long term. New methods which allow researchers to not only identify and label active brain regions, but to artificially activate specific cells, however mean that such models can now finally be tested for the first time. A recent experiment using mice has done just that and has found both models to be incorrect. The findings will undoubtedly send shockwaves through what are fast-becoming, accepted orthodoxies in education. We know that memories exist as specific patterns of activated neurons in our brain. So, for example, when you smell a flower and it reminds you of your garden, the sensory activation of the smell might have then activated the specific memory pattern for your garden. Scientists have dubbed these memory-housing patterns ‘engrams’. When a memory is formed, changes take place in the activity and structure of these networks, and these changes form a specific ‘engram’ pattern of activation for that memory. Whenever this memory is retrieved the ‘engram’ pattern will become active. Scientists are then able to track a mouse’s brain activation under experimental conditions to identify where a single engram (related to a single memory) resides. A relatively new method called optogenetics has taken this a step further. 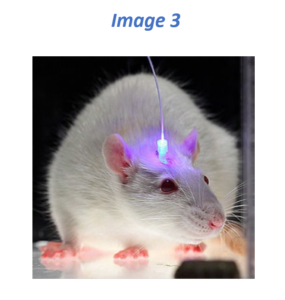 Put simply, optogenetics allows scientists, to alter a mouse’s genes in order to alter single brain cells or small populations of brain cells or ‘engrams’ so that they can be activated by a light (see image 3). Using this method, researchers have been able to compare brain activation and behaviour during ‘natural recall’ of a memory with behaviour during ‘artificial recall’ in which engrams are activated using the light. To create a memory, a mouse was given a small electric shock on entering a specific chamber. A memory of the shock formed in the brain, when the mouse recalls the incident of the shock (i.e. the memory is activated) the mouse will freeze. This ‘freezing behaviour’ is considered the behavioural response to the activation of the memory. Firstly, researchers found that engrams were created in the hippocampus and the prefrontal cortex immediately. This is contrary to both theories of memory which would suggest that a prefrontal cortex engram would not appear for some time. The research then examined the mouse’s recall and behaviour on day 1 and day 14 following the memory formation. Researchers prompted ‘natural recall’ by placing the mouse in the same chamber (they didn’t give it an electric shock this time) and then examined the brain activation. They also prompted ‘artificial recall’ in either the hippocampus engrams or the prefrontal cortex engrams, when the mouse wasn’t in the chamber, using the light. On day 1 during ‘natural recall’ the engram in the hippocampus activated but the engram in the prefrontal cortex stayed silent. However, when the prefrontal cortex engram was artificially activated, the mouse froze, indicating that there was already a memory in the prefrontal cortex, even though it wasn’t yet being triggered under natural conditions. On day 14 during ‘natural recall’ the natural activation was reversed: the engram in the prefrontal cortex activated but the hippocampus engram stayed silent. Again, artificial activation of the silent area, in this case the hippocampus engram, could prompt the mouse to freeze. Memories or ‘engrams’ are formed immediately and simultaneously in both the hippocampus and the prefrontal cortex. Engrams in both regions can function from day 1 though they may not be involved in natural recall. 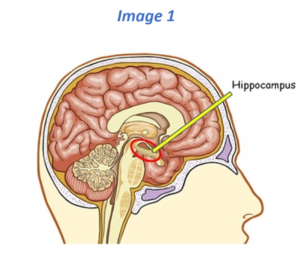 Hippocampus engrams are initially used for recall in the immediate aftermath of memory formation. This recruitment of certain engrams during natural recall then shifts to the prefrontal cortex at around two weeks. Yet there are many things still to be explored and understood. For example, the study was not able to show the role of the hippocampus beyond the two weeks of the experiment and the exact mechanism behind the shift in which brain area is primarily responsible for recall (from the hippocampus to the prefrontal cortex) is not understood. Further research is therefore needed in order to form a detailed model, supported by neuroscience, of how memories are formed and consolidated. Given that these findings are so new, it is not yet clear what the implications for teaching, learning and pupils’ memory are. However, new research such as this serves to demonstrate that unproven models should not be taken at face value. The findings illustrate the need for caution when applying cognitive psychology to real life educational practice, otherwise we risk charging headlong into the territory of new neuromyths and VAK revisited. This has the potential to further disadvantage pupils on the autistic spectrum who don’t follow the neurotypical pathways. Thanks for reading. I would be interested to hear more on your thoughts about you think it would disadvantage these pupils? I feel a bit confused after reading this post. 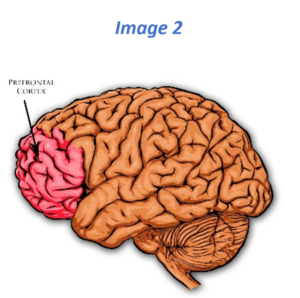 The blog starts of discussing cognitive psychology, before focusing on fundamental neuroscience? The importance of e.g. spaced repetition has been shown both by cognitive psychology and educational sciences? Wouldn’t call that a possible neuromyth? Hmmm. interesting however the take home messages for teachers aren’t really affected. It doesn’t matter where memories are being laid down and activated when. I don’t burden my preservice teachers with those details. Teachers benefit from knowing solid ‘brain free’ findings about memory like the importance of distributed practice and the undoubted power of retrieval effects. Hi Ellie, thanks for taking the time to write this post – very thought-provoking. Although I understand your train of thought, I would caution against drawing any firm conclusion from this type of research. The study revolves around learning based on electric shocks. Such unpleasant stimuli are not generalisable, in my opinion, to children and young people in the classroom. If anything, this kind of research might tell us about how phobias are acquired. Since the development of (at least some) phobias is thought to have a strong evolutionary / survival basis then it is perhaps not surprising that the mouse very quickly learned a new connection in its memory. I am not convinced that such fear-induced learning has practical applications in terms of our understanding of different learning strategies. I agree that we should be cautious about applying cognitive psychology too freely in education circles. That said, from what I’ve seen here this study provides no compelling reason to sidestep decades of research on the techniques that appear to help students learn and retain information.